Mengele survived the war. Despite being hunted as a Nazi war criminal he evaded capture for the rest of his life first living incognito in Germany then fleeing to South America. After his death in Brazil, documents written by Mengele himself surfaced. A study of these letters and notes indicate that Mengele never recognised anything evil in the atrocities he committed in his human laboratories at Auschwitz. It is estimated that between 1 and 1.5 million people perished at Auschwitz. (Memorial and Museum) How could Mengele live with himself? How could Mengele have done what he had done with seemingly no remorse, no regrets for participating in such unspeakable acts against humanity? The newspaper Spiegel Online wrote, "[Mengele] believed that he was simply killing people who were already sentenced to death." Making excuses. Covering up mistakes. Explaining what's bad or negative in a way which is not threatening. I didn't fail; I just didn't succeed. It's impossible; nobody could have done it. What I did wasn't so bad; after all, look at Osama bin Laden. At one time or another, we've all done it; we've rationalized. In psychiatry, this is called a defense mechanism whereby we attempt to cope with reality and maintain our self-image. Nobody likes to fail. Nobody likes to be wrong. Nobody likes what's negative; we all prefer the positive. However we can be put into a position of great internal conflict if we are faced with the prospect of accepting that which spoils our self-image, how we view ourselves. It can be difficult to admit to our failings and for some, it can actually be impossible. When it's impossible, the person in question can demonstrate behaviour which is completely divorced from reality. Who on the planet doesn't know this story? On May 9. 2011 Arnold and Maria Shriver separate after 25 years of marriage. It comes out that 14 years earlier, Arnold fathered a son with the housekeeper , Mildred Patricia 'Patty' Baena. (Wikipedia) Baena's son with Schwarzenegger, Joseph, was born on October 2, 1997; Shriver gave birth to Christopher (child #3) only a few days earlier on September 27, 1997. Is this an OMG moment? If I search in Google for the two expressions "arnold schwarzenegger" and "scum of the earth", I get over 63,000 hits. Will Arnold ever live this down? How is he living with himself? How does he rationalize this? Is there some sort of trade-off in his head? "Yes, I did a bad thing but I am still an idolized movie star." or "Yes, I did a bad thing but I was a good governor." Married November 2009. Scandal November 2009. One hundred and twenty-one women. (Huffington Post) 5 years, 60 months. On average 2 women per month. How many jokes? That's par for the course. He gets a hole in one and she's teed off. If I search in Google for the two expressions "tiger woods" and "scum of the earth", I get over 65,000 hits. What is going on in Tiger's head? What possible scenario has he developed to permit himself to live with this? "I am still the world's greatest living golfer." What isn't said or what I can't find is how her ex lives with himself. How has he rationalized his behaviour? What did he tell his new wife? She must have felt he was worth marrying. How has he come to grips with his first wife divorcing him because of what he did? 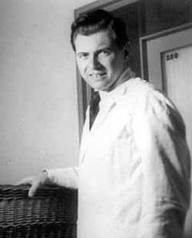 Joseph Mengele was not just a bad man, but an evil one. He managed nevertheless to rationalize his behaviour. Arnold and Tiger aren't necessarily evil, but the two of them have certainly done something very bad and they are going to have to live with this for the rest of their lives. Now how are they going to manage to live with themselves? The husband of Sophie van Buren is the villain to her heroine. Obviously he has managed to make some sort of excuse for himself and moved on. Eight years later, I released a book that covers a three year span of my life, beginning with that fateful night. Illumination - How One Woman Made Light of the Darkness is the story of how sometimes, what you least expect to happen does, and how, when one life collapses, a new one begins.